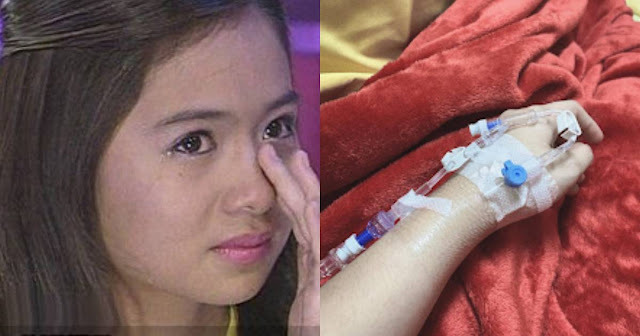 Home / Local / Showbiz / Kailangan ng panalangin ni Ella Cruz matapos ang nakakatakot na nangyari sa kanya! Kailangan ng panalangin ni Ella Cruz matapos ang nakakatakot na nangyari sa kanya! 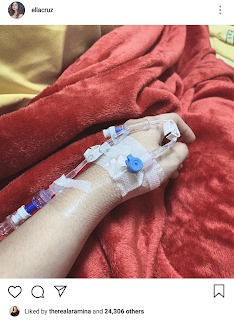 Ella Cruz has a pretty packed weekend planned, but a sharp turn in her health condition is currently forcing her to stay in the hospital, unable to carry out the activities she had planned. For starters, Ella was supposed to see K-pop group Blackpink live in concert today. She narrated how she even cried about the tickets, which sold like hot cakes on the first day. Ella says she spent three hours in front of the computer, refreshing the website to see if she could score some cancelled tickets. In the end, she miraculously landed tickets not just for her but for her siblings as well. She was ecstatic. Still fresh from that K-pop event of the year, Ella Cruz was supposed to appear and dance live on the ASAP stage on Sunday. She says this is such a big thing, because she has waited long enough to go back to dancing live. She narrated how doing the dance routine was something she really looked forward to. Hardworking as she is though, Ella sometimes has to slow down and rest. Her body gave up, and she is now confined. It's a good decision to prioritize her health despite the big plans she has set out for the weekend. However, we can all emphatize that she's missing those for the hospital! All we can do is pray for this hardworking actress. May she pull through whatever condition she is fighting in the moment. There will be other concerts and other chances to dance in the ASAP stage, but her health comes first. Her fans have expressed their thoughts and well wishes on the young girl, so it seems there are a lot of prayers coming for the young lady. Get well soon, dear Ella! Trust in the Lord, as He will surely get you through all this!